Private Villas Close To Restaurants & Shops, Luxury Villas In Mallorca! Mallorca is known for beautiful beaches and it’s glorious Mediterranean climate. Below we give you examples of our villas that are close to the beaches, shops and restaurants. Mallorca has a tremendous variety of places to visit including cathedrals, galleries and artsy hill towns. 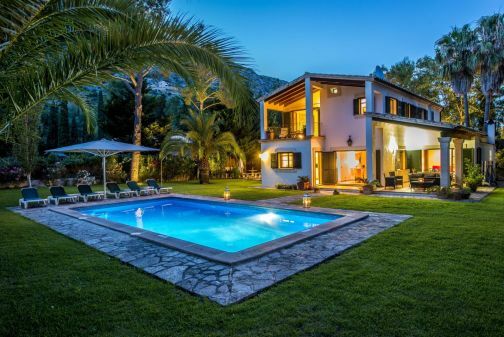 So if you are travelling to Mallorca to visit these places, then why not let us take you through the luxury villas - Mallorca that will be closer to the places you’ll want to experience. Villa Bon is a traditional Mallorcan villa situated just a short walk from the restaurants and bars of Pollença. The town of Pollença can be found in the northern part of Mallorca, near the renowned Cap de Formentor. Cap de Formentor is a great study for geologists. This magnificent cape forms the eastern end of Mallorcas Formentor Peninsula. Locals describe the cape as the meeting point of winds on the island. Due to the high vantage point, a lighthouse was built there many years ago to help with the safe passage of boats to the island. Villa Bon is situated just 2 km from town and facilities, 6 km from a golf course, 8 km from the nearest beach and 62 km from the main Palma airport. Villa Leon is a modern Mallorcan villa with plenty of style, the building is made out of stone which gives the villa a clean, luxurious look. This glamourous villa is located in the centre of Pollença. Just outside of this property is where beloved author Agatha Christie and Politicians such as Winston Churchill once walked. Pollença is known for a good food, picturesque beaches and flourishing gardens. Villa Leon is situated very closely to Mayor Plaza, a prominent public square known for frequent outdoor craft markets. The surrounding areas are filled with shops and cafes. Villa Leon is located 0 km from local shopping, 4 km from a golf course, 9 km from the closest beach and Villa Leon is situated 60 km from Palma airport. Villa Gilo is a traditional stone built detached villa, situated in one of the most sought after residential areas that is La Font. This beautiful villa is only a short walk (25 minutes), from the historic old town of Pollença with its chic restaurants and eccentric café bars that are located on the pavements of the town. 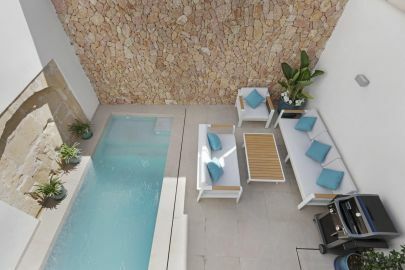 This Villa comprises of a lush garden with large pool (10m in length), sunbeds, a BBQ area to enjoy in the sun, loungers, and outdoor dining area, with enough light to enjoy the outside areas by night. There is also a comfortable terrace to enjoy the shade on a sunny day. Villa Gilo is situated 3 km from local shopping, 7 km away from the nearest golf course, 7 km away from the beaches and 62 km from Palma airport. Casa Da Playa is a luxurious country house that is located in Pollença, 350m from the beach and a 15 minute walk to local restaurants and shops. This property is a massive 5 bedroom, 4 shower room villa. If you choose this property you will also benefit from maid service. The closest beach is opposite the villa and has one of the best views on the island with white sand and a beautiful blue sea. This property comes with a tennis table so if you fancy yourself a ping-pong champion then just imagine winning with such a view! Casa Da Playa is 5 km from local shops, 12 km from the nearest golf course, 350m from the beach in view and 65 km from the Palma airport. Casa Serena is the photo-shoot ready, glamorous fantasy that we all dream about. This property makes dreams a reality with such perfect, minimalist design. Every aspect of Casa Serena’s interior design has been thoughtfully curated. Every angle of this villa was created with movie-star glamour. In this property you are surrounded by beauty. 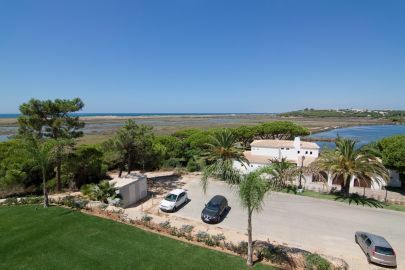 This gorgeous property is situated in Cala Serena, a ten minute walk into the centre of Cala D'or. Cala d’Or is a resort area on the southeast coast. It’s known for its yacht marina along Cala Llonga and Mondrago natural park, which is rich in birdlife. Casa Serena is 3 km from local shops, 7 km from a golf course, 7 km from the nearest beach and 62 km from the airport. Check Out These 5 Villas That Actually Are On The Beach In Barbados! Villa or Hotel? Why Our Private Villa Holidays Offer You More! Our Top 10 Villas Across The Algarve With Beautiful Views! Villa Holidays In Barbados: A Slice Of Heaven Brought Down To Earth! How To Have A Stress Free Holiday With Unique Luxury Holidays Villas! "Bim – sweet fa so" Bajan dialect for "Barbados is so nice!" Here's to Martinhal - Our award winning holiday partner! Ten good reasons why you should visit the Algarve!